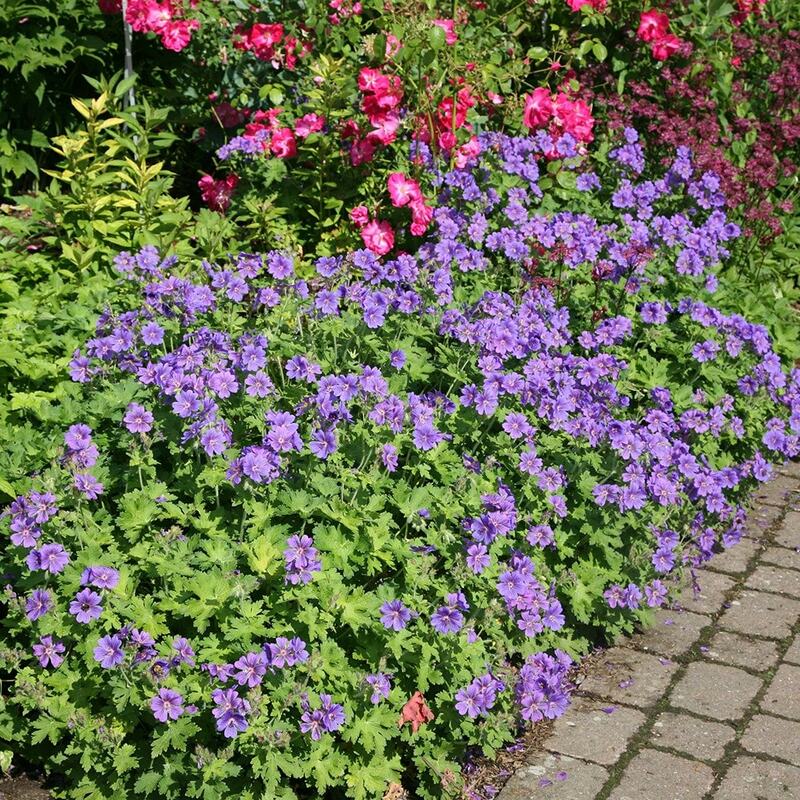 Dense clusters of saucer shaped, heavily veined rich violet flowers appear among deeply divided, mid-green leaves in one burst in midsummer. This vigorous plant quickly forms hummocks of attractive, deeply divided foliage that colours beautifully in autumn. 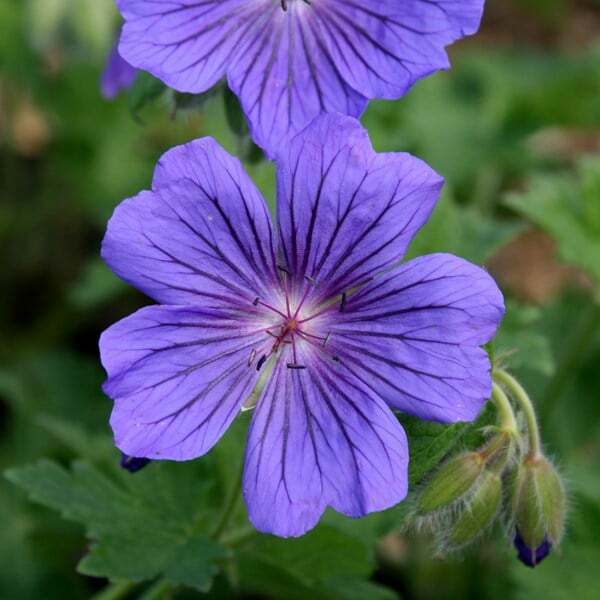 It's an effective and low maintenance groundcover plant. Although it will take some shade, it flowers best in a sunny site. I put them near to the edges of beds because they do go on and on and spread themselves over the season. I have potted this plant as I have a balcony and it's already growing this year.